It's perfect for outdoors or for waiting in line. 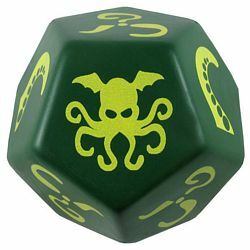 Keep Giant Cthulhu Dice in your backpack and drive your friends mad outdoors, waiting in line... It even floats, not that there's any way you can tell which side is up in the pool. But don't let that stop you!